Join Steady as she crosses the North Sea from the Netherlands to Scotland on her first voyage of the 2019 season! 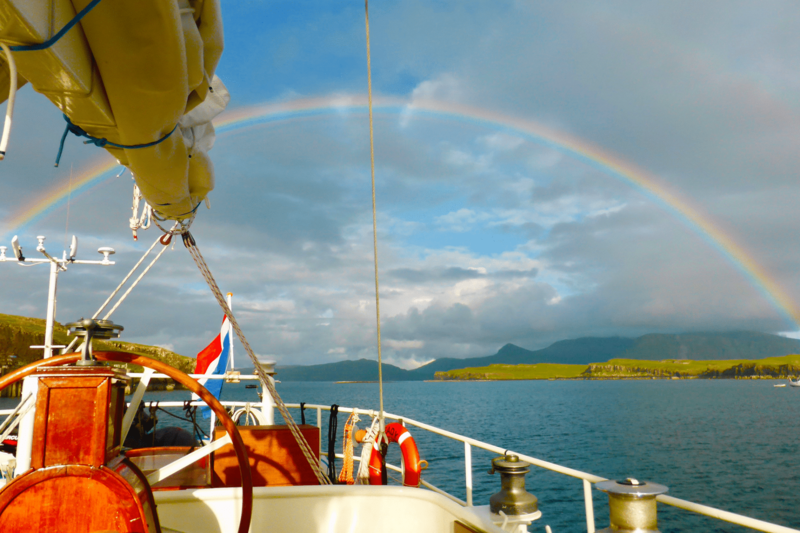 Set sail from Hoorn in the Netherlands to Inverness for a spring time passage crossing. This fabulous voyage offers the opportunity to experience sailing the North Sea – keep your eyes peeled for whales and other wildlife. The total voyage is roughly 550 miles, and Steady will travel this under sail as much as possible, even at night which means you will have the chance to experience a night sail – something which many of our guests count as a highlight of their voyage. During the twelve days at sea, you will have time to visit towns like Whitby (the home of Dracula!) and Eyemouth. As with all passage crossings, there is plenty of opportunity to get to grips with handling Steady, taking turns at the helm, keeping watch and learning the basics of navigation. Your voyage will begin in the Dutch maritime city of Hoorn, located less than an hour away from Amsterdam and Schipol, the international airport. It’s quite a small city, but there’s a museum and a few other attractions – and of course Amsterdam is well worth a visit too if you wanted to combine some sightseeing with your voyage! Once Steady has left Hoorn, she will head for Den Oever, the only stop before reaching open waters. The following few days will see the passage get well and truly underway, with the ship gliding through the waters of the North Sea as you get to know your vessel and your fellow shipmates. Before reaching Inverness, Steady may call in at Whitby, Eyemouth, Stonehaven and Cromarty. Each of these towns has plenty to see, and you’ll enjoy dinner at a couple of them. 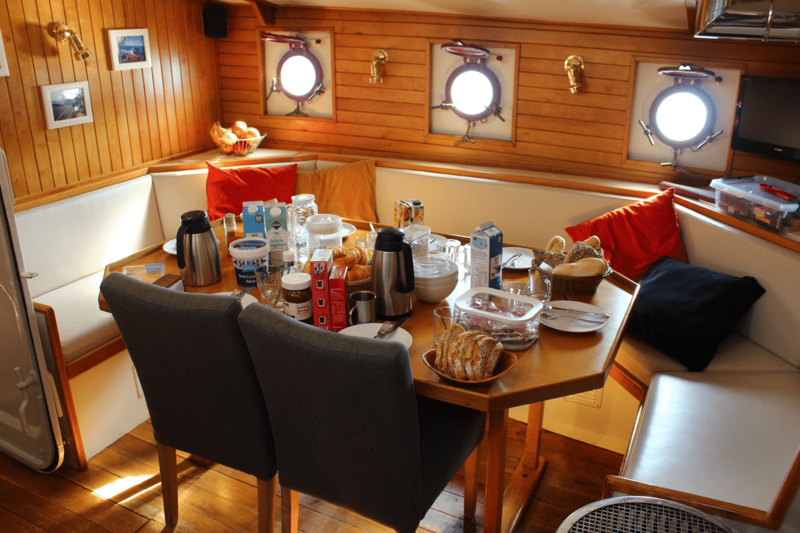 Of course the exact itinerary is weather dependent, so if the ship is behind time then we may need to skip one of these towns – but the crew will do their best to accommodate whichever places their guests want to see. Once you’ve arrived in Inverness at approximately 10am, take some time to see this beautiful city – the capital of the Highlands. See the historic castle, built in the 1800’s on the site of an 11th Century defensive structure, or wander through one of the city’s many museums. Inverness has its own airport offering internal and overseas flights, making getting home from this voyage a piece of cake.